Does the product match your requirements? How many family members do you want covered? Splitting policies can be advantageous. From the cost point of view, you can get a separate policy for the oldest member of the family. Generally, all insurance companies offer policies covering yourself, your spouse and up to two children under one policy. Some also give coverage for dependent parents. What is the total amount of coverage? The total amount of coverage needs to be determined by the number of people that you want the policy to cover, your estimate of the health care costs and the existing coverage that you might have from other sources such as employer provided group insurance. Here, it is important to understand the value of a secondary cover and experts stress that as a long-term plan, it is prudent for you to have an individual health insurance policy as well as one for the family. Why? Because the cover extended by the employer is valid only while you are employed with them. Once you move to a new organization, the terms and conditions change as per its insurance policy. An individual policy gives you the leverage of a long-standing relation apart from supporting the waiting term requirements for various critical illnesses and pre-existing diseases. What are the exclusions, both permanent and period-based? 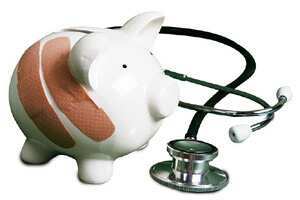 Exclusions describe the ailments and the conditions under which the health insurance coverage will not be valid. For example, a common permanent exclusion is cosmetic surgery. Such surgery is generally not life-threatening and is carried out at the insistence of the patient. The list also includes existing ailments, regular medical expenses such as pregnancy or vaccination and health problems arising out of an injury from adventure sports or expenses related to AIDS. What is the network coverage of the third party administrator (TPA) engaged by the insurance company? Ensure that the hospitals near your residence which might be used in case of an emergency as well as the hospital where you seek regular or specialist treatment is part of the TPA hospital network.